Learn how these 15 non-dairy milks stack up. Whether you're lactose intolerant, or just questioning, the last few years have been a renaissance of sorts for anyone looking to explore the rapidly expanding field of non-dairy milk. In 2018, the once-rare almond milk is practically a barista standard, while ads for Oat Milk fill the subway stations of New York City. With more vegan milks available than at any time in human history, it can be a bit overwhelming to figure out which of the many plant-based milks out there are right for you. Fortunately, Food & Wine has taste-tested every plant milk we could get our hands on, both on their own, and in coffee. If you're exploring non-dairy milks, you'll probably run across Elmhurst, who in addition to more traditional offerings are on the cutting edge of grain and nut milks. 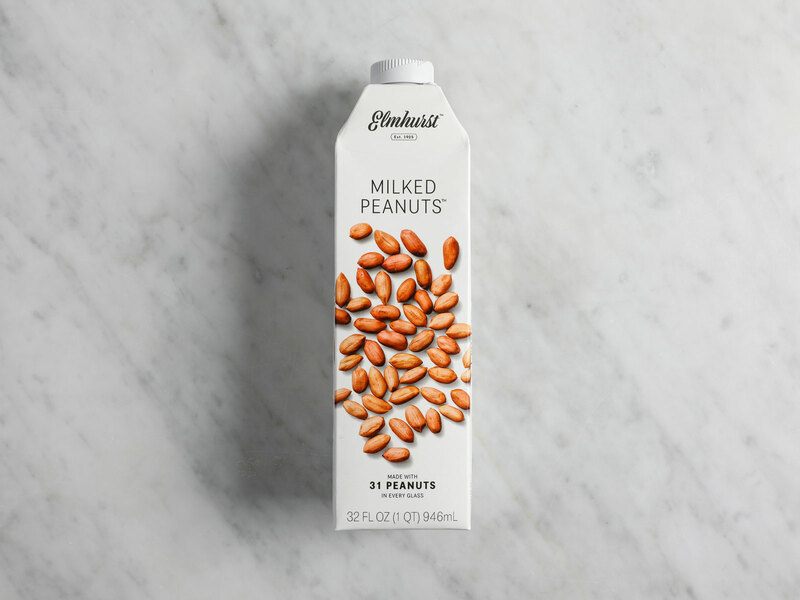 Peanut milk is, in one testers words," a very experimental nut milk," which, unexpectedly, has a biting, grassy taste, with just a hint of peanut in the end. Also unexpectedly, it's purple. Rather than coffee, one tester wrote, this peanut milk feels like something that belongs in a boundary-pushing cocktail. Which, it turns out, is exactly what Elhmurst has been doing. Peanut milk may not become your next go-to, but for the adventurous, its a milk you'll want to say you've tried. 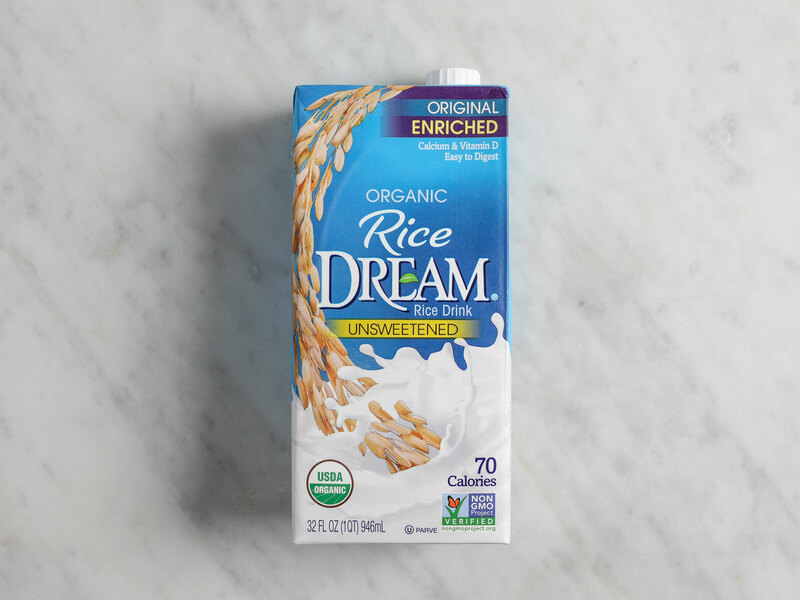 Rice Milk, and Rice Dream's version of it, has been around for longer than most milk alternatives, and its key to surviving this long is most likely its ability not to offend. Its taste isn't super strong, or even that "rice-y" the way the brown rice milk we also tested is—in fact, its aftertaste is closer to the wheatier-tasting milks. But, there's also nothing bad about it, making it an easy choice for those in need of neutral. Translating those qualities to coffee makes for an unusual experience though: even after pouring quite a bit in, it barely affects the coffee's flavor at all. You have to give Ripple credit: their plant-based, "Nutritious Pea Milk" is surprisingly good for something that seems particularly health-oriented. 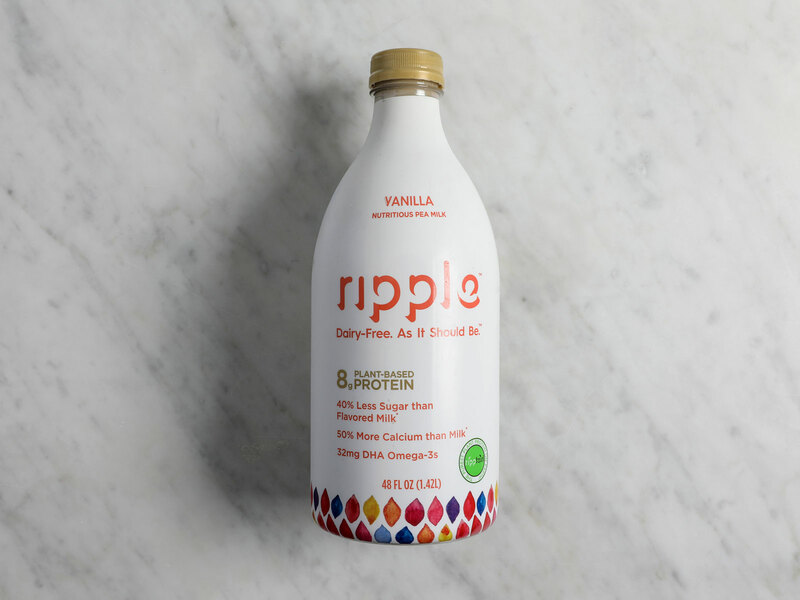 Made from the proprietary pea protein "Ripptien", sunflower oil, organic cane sugar, and algal oil, Ripple's pea milk has a skim-esque consistency that isn't overpowering, and doesn't have the "bound" taste of some more fake tasting health milks. In coffee, the pea milk's neutral taste isn't too strong and doesn't imbue as much flavor as most of the nut milks. But if you want a health shake-esque element with eight grams of protein per 8 ounces, plus vitamins and minerals, this could be a good upgrade. 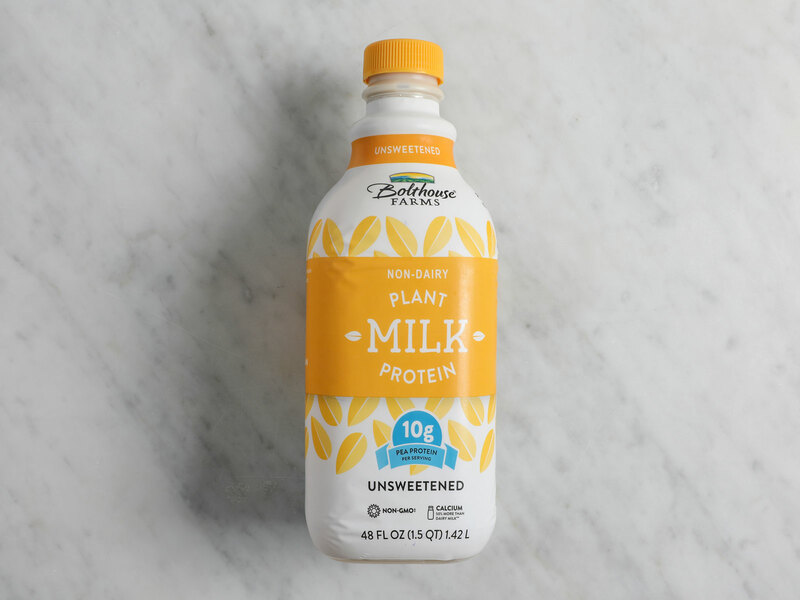 Bolthouse Farms brings the other pea protein-based milk (that's its main plant). This one is a bit sweeter than Ripple, but again, it's a surprisingly good version that might be an upgrade from whatever you normally put in a protein shake. If you're not sure which pea-based option to go with, either decide based on how sweet you want it to taste, or which of fairly fortified list of nutrients you prefer. 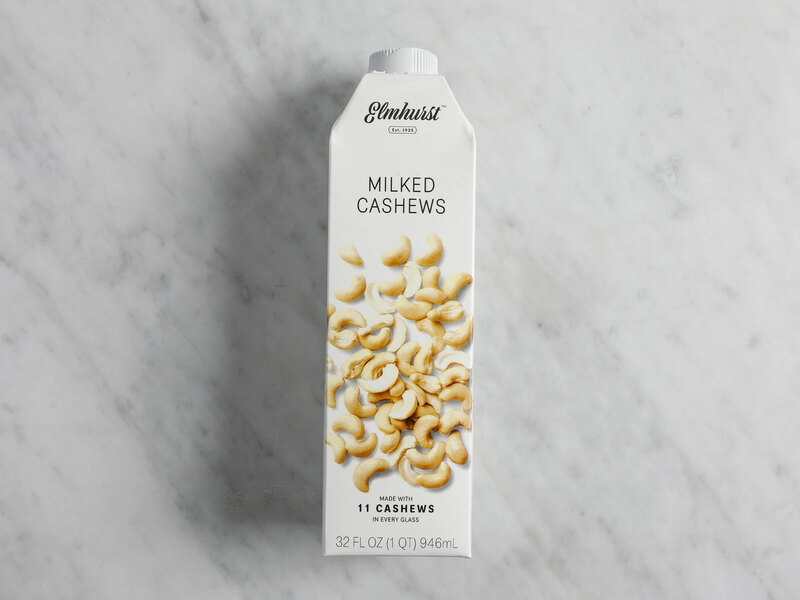 In some of its taste and texture, Elmhurst's Cashew Milk is the closest of all to almond milk. But it's cashew-y twist ads an almost sour element that cuts through enough to make it far more polarizing. Half of testers agreed it was "kind of odd, but maybe in a good way," while the other half were less sure. The Milked Cashews in coffee, on the other hand, are intense ,in a way that's best described by a tester who summed it up as, simply: "like something Dwayne 'The Rock' Johnson would drink." Both types of rice milk have a thin, watery appearance that you might not expect. On its own, this tastes like a cold rice pudding, only more liquid-y. 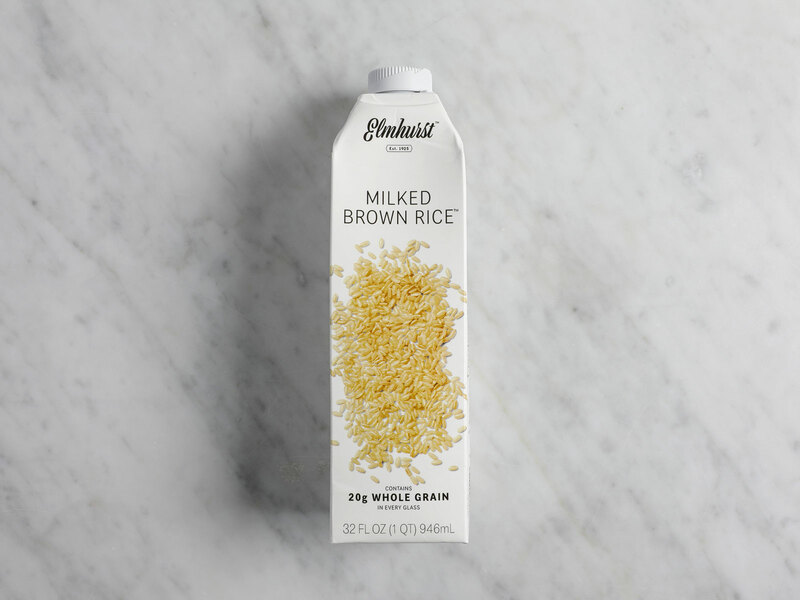 This made it divisive—it legitimately tastes like an existing (and good) flavor, but with a very different texture, so whether you can get past that will determine your success with Elmhurst's Milked Brown Rice. Coffee unlocks much more of its potential, creating a warm and rice-y drink that's about as close a coffee version of genmaicha as you're going to get. Maybe the most classic non-dairy milk of all, Soy is one of the best all-around options both on its own and coffee alike. 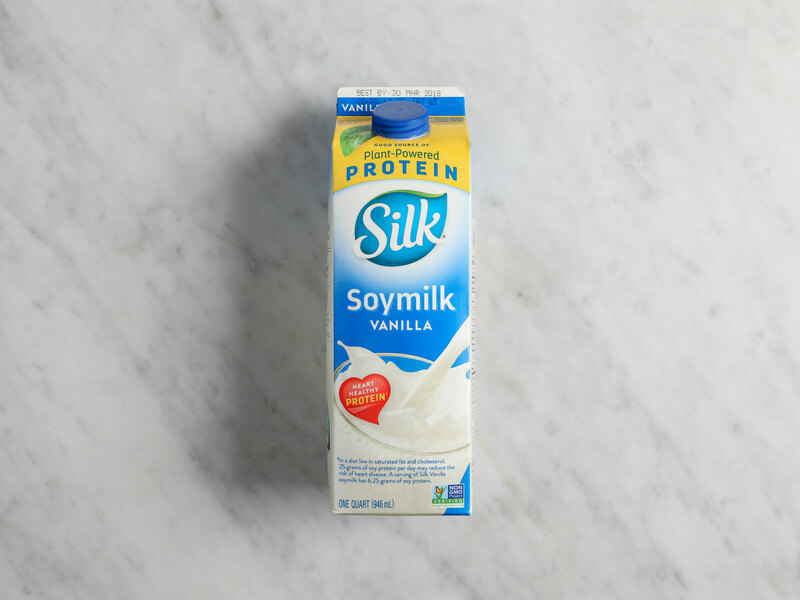 We've tried many more soy milks than just the Silk pictured, and as you've likely already experienced, its trademark note of soy makes it a bit more polarizing. For many, it's the taste of non-dairy milk, and if its the one for you, you probably already know. 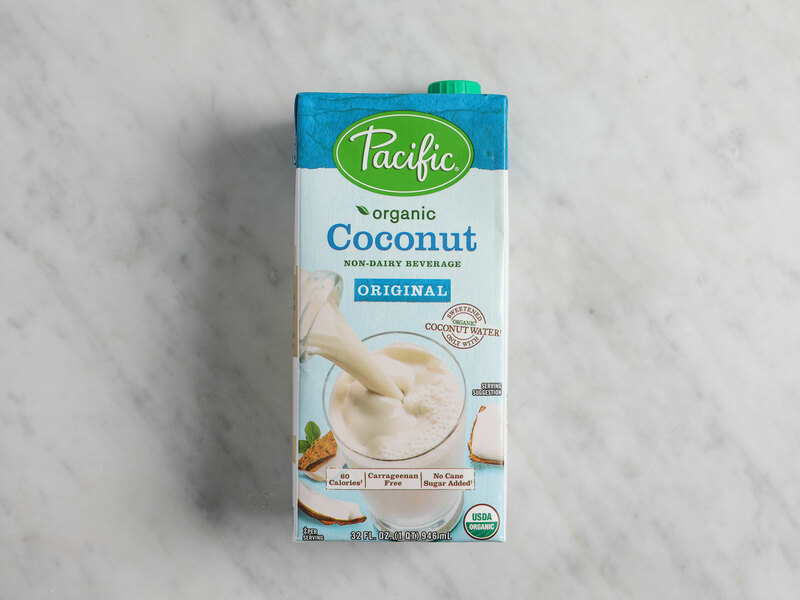 Another of the oldest non-dairy milk options, and when tasting Pacific's organic version, you can tell why. Coconut! The powerfully sweet flavor is like its own cocktail or dessert, and makes you want to throw around the word "tropical." It's one of a few non-dairy milks whose strong flavor probably precludes adding it to your daily routine, but when you do drink it, it's a genuinely good experience. Because it's such its own thing, Coconut Milk tends to clash with the bitterer notes of coffee, but that doesn't keep it from being one of the most versatile non-dairy milks around. 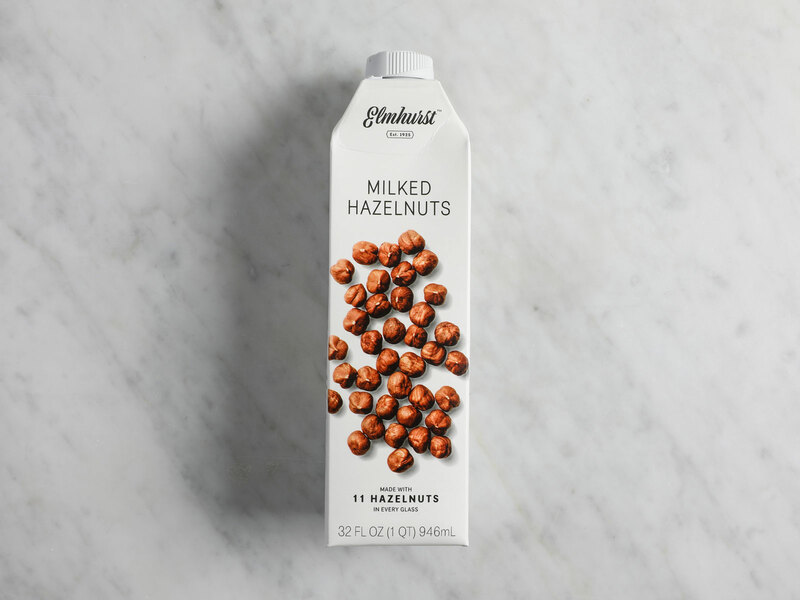 Before the test, Elmhurst's Hazelnut Milk (or Milked Hazelnuts) garnered the most curiosity. Maybe because of hazelnut coffee creamer? After trying it, the team's reactions were equally curious: its texture was described as "melted ice-cream-esque," with a strong, sweet flavor, but while some found it "very hazelnutty," others thought it "didn't taste like hazelnut at all." Perhaps the reason is because the main hit of hazelnut flavor comes not at first, but in the aftertaste that gently fills the nostrils. In coffee, that flavor can get somewhat lost though, so this is more of a solo or possibly cereal choice. 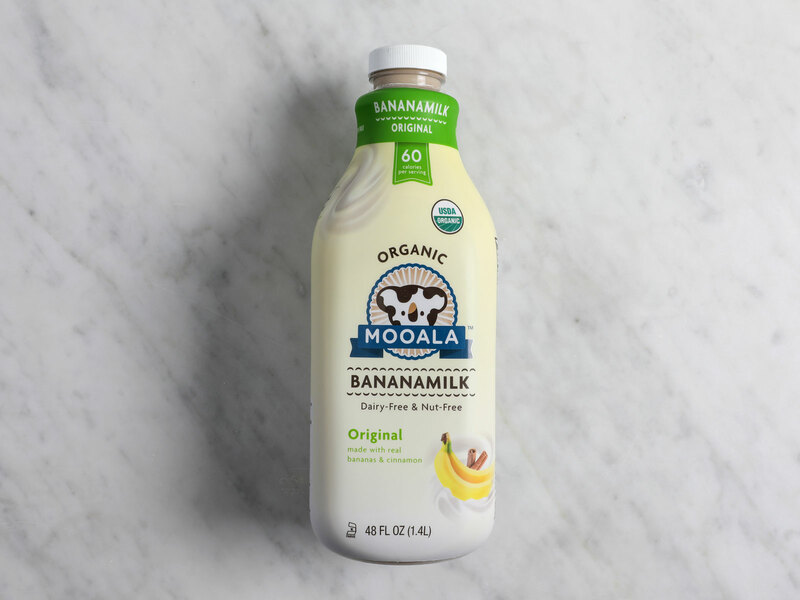 Made from bananas and cinnamon, Mooala's Bananamilk had one of the most unique tastes in the test—and one of the most divisive. It's authentic sticky banana gooeyness is a personal choice, but it's hard to argue it's not a great cinnamon-delivery vessel. But it's as a component of something else that Banana Milk really shines, turning coffee into a sweet, cinnamon-y treat that still tastes natural. Even those who didn't love it on its own agreed the yellow milk feels destined for smoothies and, potentially, baking. Walnut milk may not be an everyday milk, but it's one of the best nut milks out there, and Elmhurst's best newcomer. It's thick, resembling chocolate milk, with a confidently strong flavor described as "strong maple on the nose," "close to toasted walnuts," and "actually lovely." Interestingly, where coffee generally dilutes a milk's flavor, it seemed to enhance that of walnut milk, bringing out wood-y notes that felt what you could call New England-y. Ideal for drinking at a cozy lodge or cabin, it's probably a bit too strong to have every single morning. But with so many milks out there trying to become the next almond, it's good to have a different type of option out there too. The standard. By itself, almond milk is smooth, with just enough gummy feel and nutty taste to seem, for lack of a better word, natural. In coffee, that texture and just-light-enough taste are just about perfectly balanced. 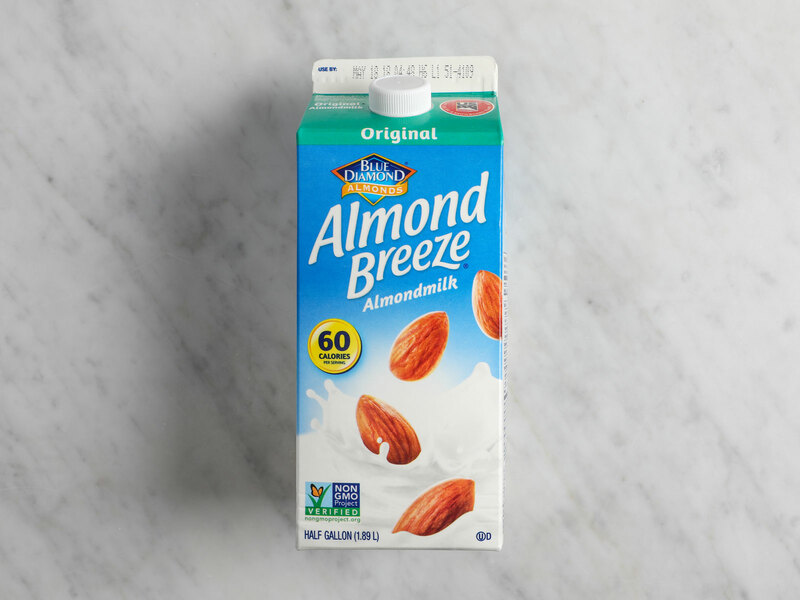 We used Almond Breeze, but whatever the brand, it's no wonder almond milk caught on so quickly, and up 'til now has been the milk to beat when it comes to everyday drinking. Flax Milk, however, is one of the three non-dairy milks we tried that could legitimately replace almond milk as the standard. 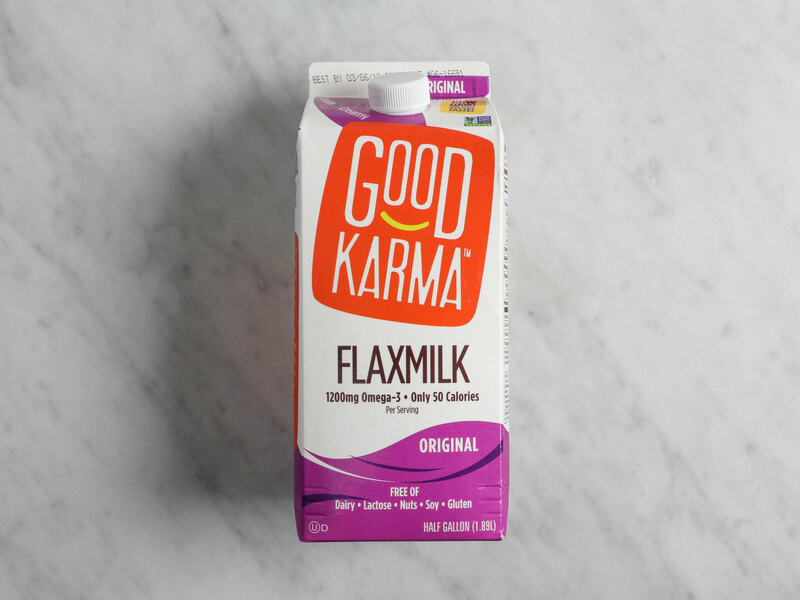 Good Karma's is well-balanced, just thick enough, and, unsurprisingly, has a bit of a flax seed-y flavor, which is substantial without overdoing it. Flax Milk is the mildest of the three potential new standards, and in coffee, it feels more like it's reducing the bitterness and heat of the coffee than adding much flavor of its own. Which, if you prefer your coffee with a bit of milk, but not too sweet, makes Flax an ideal milk replacement-replacement pick. 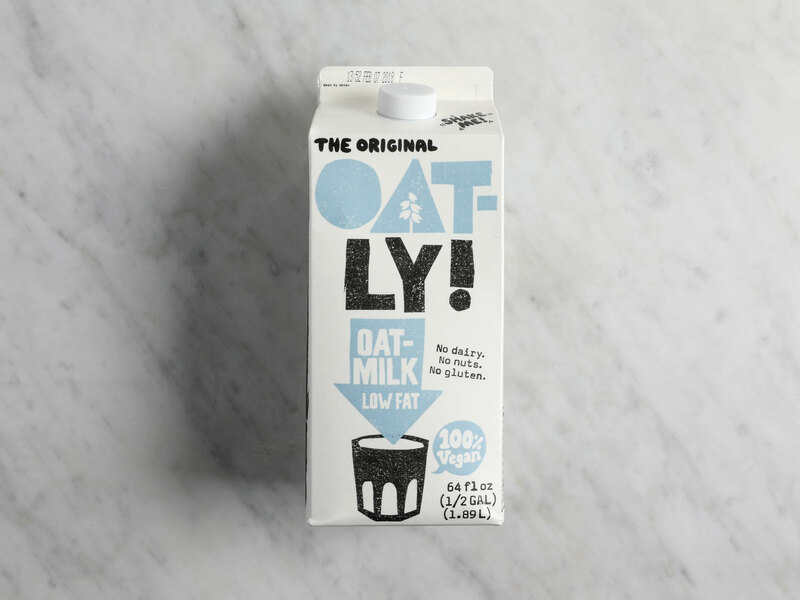 Oatly is pushing hard to bring you the next big milk, and with good reason: its Oat Milk is one of the few to achieve unanimous and strong approval from our testers. Buttery, thick, very close to real milk, its flavor is a bit reminiscent of how milk tastes after it's had shredded wheat cereal sit in it for awhile. Which is a good thing. Even more importantly, testers called it "very good in coffee," "the most effective in coffee of all," and "excellent in coffee." 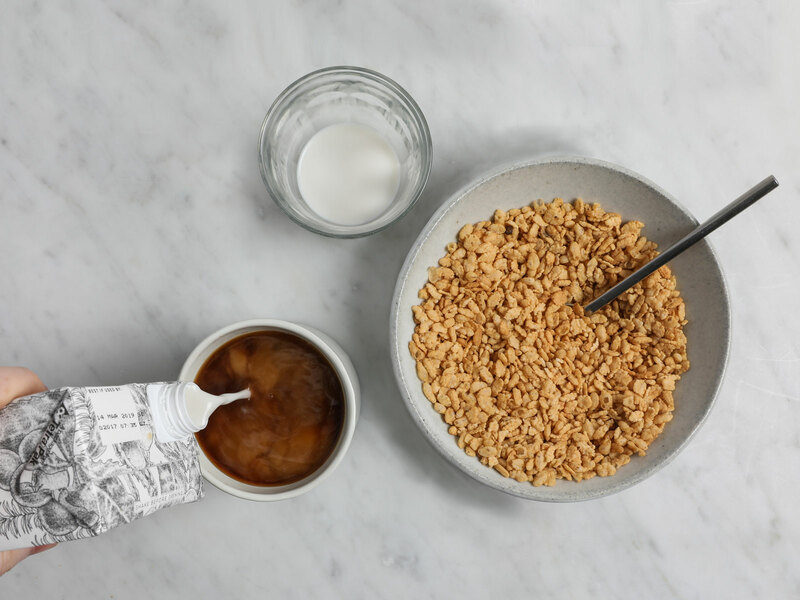 It's as good a replacement for almond milk as flax, but with a bit more power, so its worth comparing its oat notes to flax's flaxier flavor and deciding your favorite for yourself. 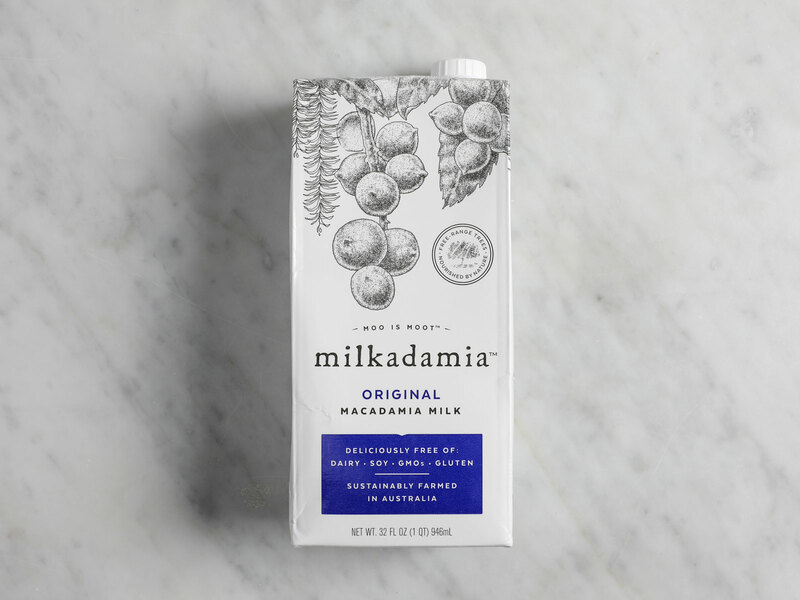 Milkadamia's Macadamia Milk is pleasantly thick and smooth, with a real taste that isn't just sugar or sweetness. Like almond milk, the keyword here is "balance," but its stronger, almost fruity flavor is just enough to make it worth trying alone. What's most impressive is that where some of the other distinct-tasting options are a bit too much to drink regularly, Macadamia Milk is calm enough that you'll want to try breaking it out every day. And yes, Macadamia Milk in coffee is equally delightful. The more intense macadamia elements are reined in by the coffee itself, but what remains joins the creamy texture as an ideal coffee complement that actually had me wanting to add more milk to my beverage than usual. Ultimately, the growing field of non-dairy milks can be broadly divided into two categories: milks that blend in, and milks that are more noticeable. As far as milks that provide an interesting alternative to almond (or actual) milk, hazelnut milk, banana milk, and walnut milk all offer a unique kick that you or whoever you're serving will certainly take notice of, but not necessarily want as part of a daily routine. In the everyday milks category, almond is currently the standard, with soy still alive and kicking as well. But if you want or need to switch from almond, flax milk, oat milk, and macadamia milk all bring combinations of balanced flavor and natural-feeling texture that could easily make any member of the trio the next new champion. If you prefer something a bit milder, a role-player that doesn't call as much attention to itself, try flax milk. For a stronger, thicker milk whose confidence you can taste, oat milk should be at the top of your list. And if you just want the best taste, find yourself some macadamia milk at least once, and see where the non-dairy delight takes you.